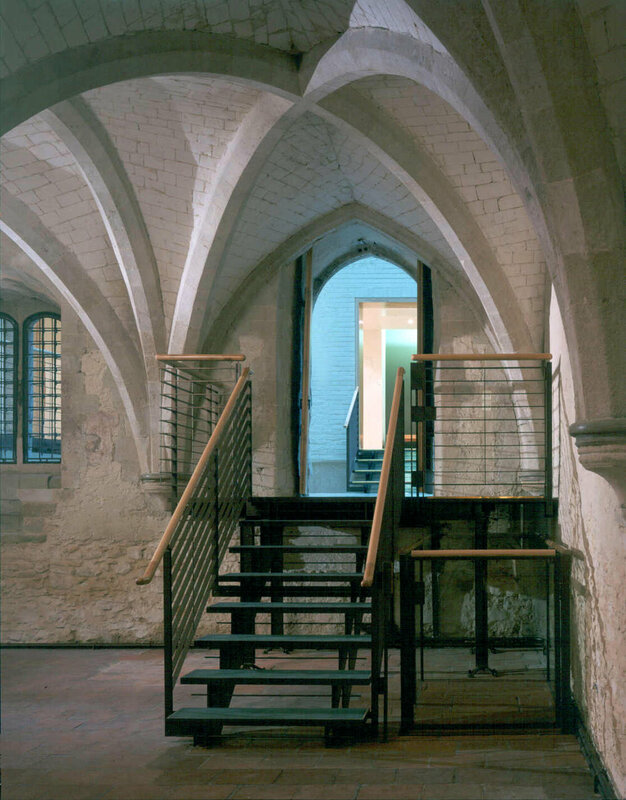 To celebrate the Millennium and to open the Palace to visitors, the Archbishop of Canterbury and the Church Commissioners embarked on an ambitious project to conserve and remodel an area at the heart of the Palace that gives access to the wonderful 13th century crypt chapel. 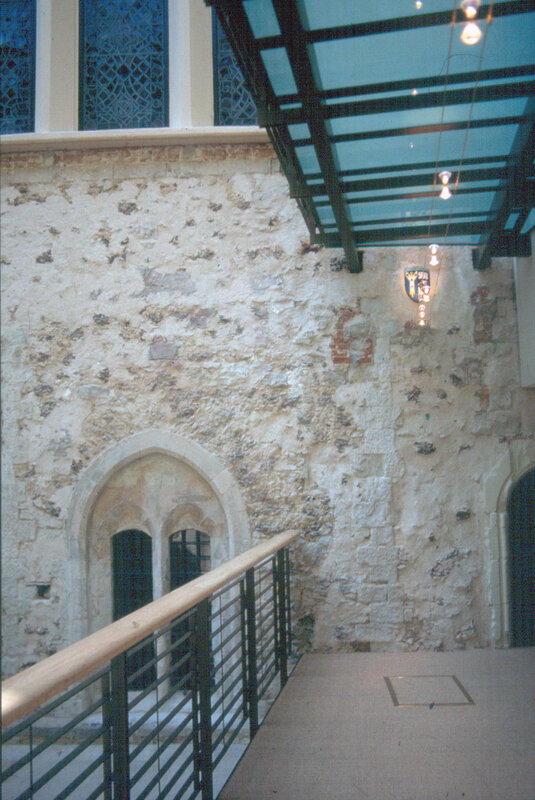 Some 20th century buildings were removed to create a new courtyard, with a glazed roof, a stone floor and a stone seat around the perimeter to avoid the need to underpin the walls. A platform lift gives access to ground, first and courtyard levels, whence a further, barely visible, scissor lift gives access to the crypt. The contemporary bronze-finished steel, glass and timber bridge and balustrades make an effective contrast with the heavy historic masonry walls, which were conserved and limewashed to bring out their rich texture.